Gentrification, forced evictions, lack of access to housing - these are all concepts familiar to us. They pose serious and real threats in all corners of the world and can violate our hard-won rights to housing, land and cities. About two percent of the world`s population is homeless and another 20 percent lacks adequate housing, according to a study by Yale University, this is despite states committing to ensuring access to safe and affordable housing by 2030, as part of the United Nations` Sustainable Development Goals. 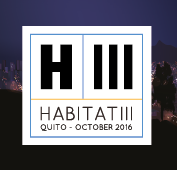 Habitat International Coalition (HIC) already heard states recognize in 1976 that adequate housing and services constitute a basic human right that imposes on governments the obligation to ensure that it is obtained by all of their inhabitants. Social movements and civil society organisations around the world are raising a common message to think about the city - and the whole spectrum of human settlements and land management - in terms of economic, social and cultural rights. Across the world, grassroots movements are engaged in these struggles. From the neighbourhood of La Boca in Buenos Aires that fights against the gentrification that is expelling the residents that make-up the identity of the area, to the affected communities of the Mexican earthquake that work for the reconstruction of their habitat, to widespread movements for affordable housing in South Africa defending the rights of shack dwellers and urgent calls in India to remedy the fact that about 54 million rural homes lack land and that 3 million people are homeless in Indian cities. 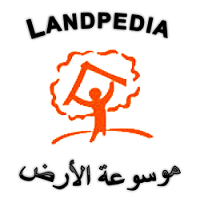 But given the magnitude of the global housing and land crisis, the global right to housing, land and city movements are not only emerging in the Global South, but also in the United States, where movements such as Picture the Homeless demand dignity and respect for the homeless. While in Europe too, there’s a growing number of tenants` unions that struggle to win the right to housing such as those in Barcelona, Berlin, Madrid and London. These wide-spread movements are essential, and it is our obligation to demand the defence of our rights. For 40 years, HIC has claimed before international bodies, such as the United Nations, the need and the commitment required to guarantee the rights to housing, land and the city for all. An evaluation of the results and progress show major milestones and some setbacks, and many more testimonies that will serve as an inspiration for the years to come in the continued fight for the right to land, housing and the city. 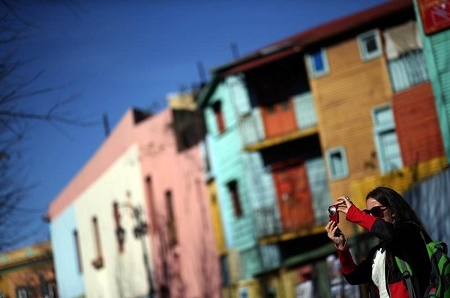 Photo: A woman takes pictures in Caminito, a tourist hotspot of La Boca neighborhood, in Buenos Aires, Argentina on 4 August 2017. Source: REUTERS/Marcos Brindicci. Álvaro Puertas Robina is the Secretary General of Habitat International Coalition, a global network supporting the right to habitat and social justice for all.